“If you see this text, then your files are no longer accessible, because they are encrypted. Perhaps you are busy looking for a way to recover your files, but don’t waste your time. Nobody can recover your files without our decryption service. Infected users are advised not to pay the ransom because hackers behind Petya ransomware can’t get your emails anymore. Posteo, the German email provider, has suspended the email address i.e. wowsmith123456@posteo.net, which was behind used by the criminals to communicate with victims after getting the ransom to send the decryption keys. At the time of writing, 40 victims have paid in Bitcoin to ‘1Mz7153HMuxXTuR2R1t78mGSdzaAtNbBWX‘ address for decrypting their files infected by Petya, which total 3.64053686 BTC, roughly $9154. Researcher finds Petya ransomware encrypt systems after rebooting the computer. 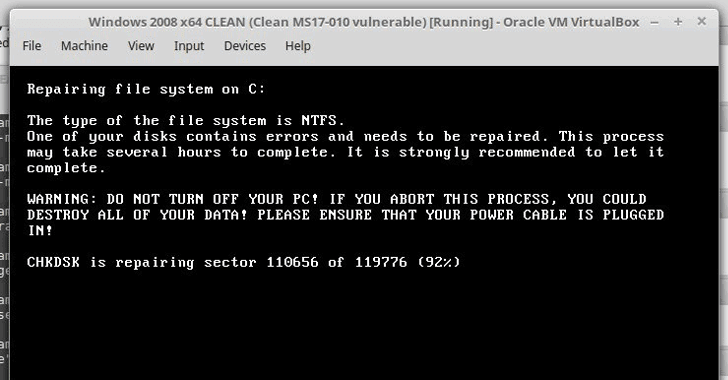 So if your system is infected with Petya ransomware and it tries to restart, just do not power it back on.